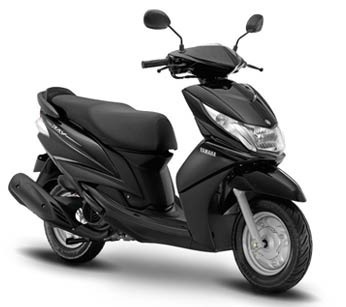 Offering you a complete choice of products which include yamaha ray, yamaha ray z and yamaha scooters. Yamaha Ray is a very beautiful series of scooter which carries the 113cc, 7bhp motor. The all-black wheels and front forks complete the absolute bad-boy image of the Z. Our offered scooter is available in three combination of colors i.e. white and black, red and black, and all-black, to give it more attractive look. Yamaha Ray Z appears to be sportier than any other scooter. This is basically a cosmetic updated Ray, with tweaks to its suspension and a couple of minor internal changes. Our range of scooter has smoked-finish visor, a new instrument panel. aluminum rear wing-shaped tandem rider grab-bars and carbon fibre patterned seat cover material. Yamaha is made available with numerous accessories and riding gear. The vehicle, carries on to use the similar dual color panels as the Ray and will also deliver the similar basic performance. We are a leading supplier and distributor of a wide array of Yamaha scooters which are best in acceleration, easy handling & maneuverability and good fuel efficiency. Scooters are equipped with air cooled 4 stroke 113 cc engine with CVT that boasts excellent reliability. 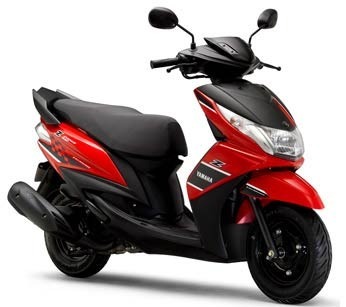 Currently we have two varieties of Yamaha scooters which include Yamaha Ray and Yamaha Ray Z, which are equipped with engine that achieves good fuel efficiency in the practical – use speed range. It has a fresh look and innovative styling based on a concept of being “Sophisticated & Dynamic”.